After 30 days of doing this 365 thing, I’m beginning to recognize some changes in my behavior and mind-set. Because of the commitment, I make an effort to carry my camera with me at all times. Because I have my camera with me at all times, I feel the need to use it. I feel the need to use it, of course, because I have taken on this challenge! That creative discipline forces me to take in my surroundings and look for something to capture — something worth capturing — every day. Which brings me to today’s image. 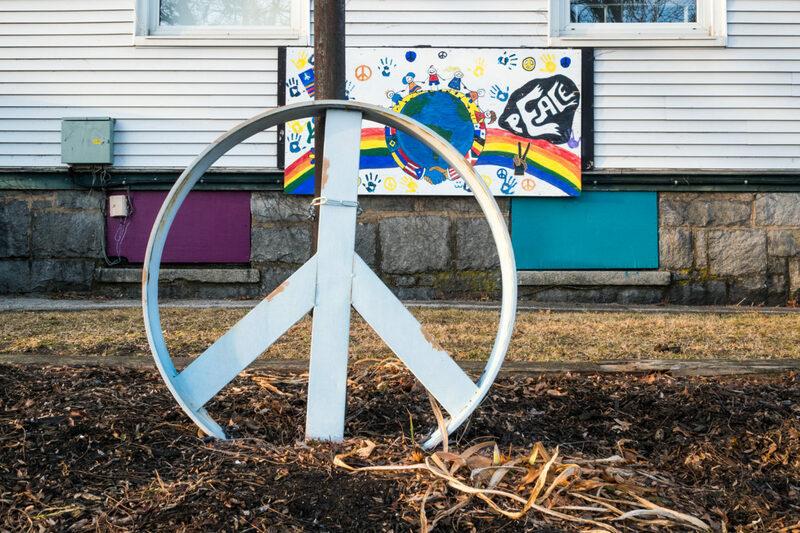 A simple message for these complicated times graces the Riverside Alternative School in Lowell, MA.